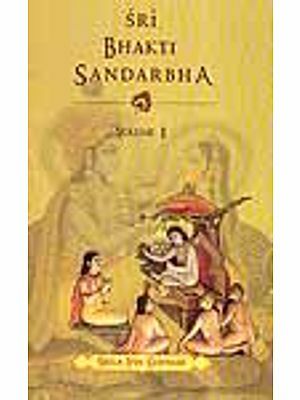 This volume contains the first two vilasas of the sri Hari-Bhakti-Vilasa by Srila Sanatana Gosvami. These two vilasas principally deal with the qualities of a bona fide Vaisnava guru and his bona fide disciple, the details of the various processes of mantra initiation, the contract between the guru and disciple, and indeed the glories of the mantras bestowed by the guru upon his qualified disciple. 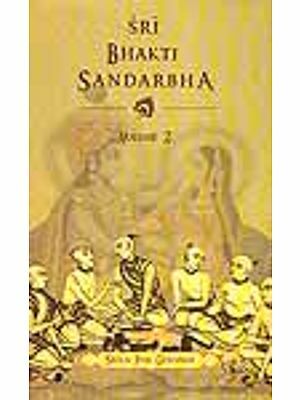 Also included is Panca-samskara written by Srila Saccidananda Thakura Bhaktivinoda, whose subject matter is similar to that of the two vilasas. Together these writings make a very instructive and authoritative book for the pleasure and guidance of the Vaisnava society. Furthermore, as the Vaisnava year covering 2004-05 is the 108th birth-year anniversary of his divine Grace Srila A.C.Bhaktivedanta Svami Prabhupada, we have decided to publish this volume as a special celebratory offering to his Divine Grace. Rarely in this material world is such a transcendent personality as Sirla Prabhupada revealed. In the short time he was manifest before us, Sirla Prabhupada, our ever well-wisher, perfectly bestowed the inexhaustible love and merciful compassion of Sri Krsna Caitanya Mahaprabhu. As such, this book, which details the characteristics of Sri Guru, is a particularly fitting offering to Srila Prabhupada. Those fortunate souls who follow his divine instructions live forever in the shelter of his lotus feet. The life work of his divine grace srila A.C.Bhaktivedanta Swami Prabhupada was to disseminate the teachings of Sri krsna Caitanya Mahaprabhu and his principla followers the Six Gosvamis of Vrndavana: Srila Rupa Gosvami , Srila Sanatana Gosvami, Srils Raghunathadasa Gosvami, Srila Raghunath Bhatta Gosvami, Srila Jiva Gosvami and Srila Gopal Bhatta Gosvami. Throghtout his writings, lectures, concersations and letters, Srila Prabhupada would often quote the authority of the hari-Bhakti-Vilasa of Srila Sanatana Gosvami when expounding upon the philosophy of Gaudiya Vaisnavis,. So during this 108th birth-year anniversary of srila Prabhupada, we are most happy to humble dedicate the publication of this volume of Hari-bhakti-vilasato Srila Prahupada and pry for his blessings. The general bodies of Sri Krsna devotees, always inquisitive for the guidance of the Hari-Bhakti-Vilasa, have inspired, as a service to them, the publication of this volume. Sirman Kusa-krata dasa Brahmacari lent his invaluable inspiration. And of particular note is Sri Anuradha devi dasi, the kind daughter of Sarvabhavana dasa, who gave of her time and expertise in rendering the original pre-production manuscript. May Srila Sanatana Gosvami bless them all with unswerving dedication to Hari, Guru and Vaisnavas. This volume contains the first two vilasas of the Sri Hri-bhakti-vilasa , a voluminous 16th century work by Srila Sanatana Gosvami. The two vilasas presented herein principally deal with the qualities of a bona fide Vaisnava guru and his bona fide disciple, the details of the various process of mantra initiation, the contract between the guru and disciple, and indeed the glories of the mantras bestowed by the guru upon his qualified disciple. Also included in this publication is Pana-samskara written by Srila Saccidananda Thakura Bhaktivinoda, which was originally published as an article in his famous Vaisnava jouranal Sajjana-tosani in 1885. The subject matter of the article is similar to that of the here mentioned two vilasas, so it was decided that altogether these writing would make a very instructive and authoritative book for the pleasure and Guidance of the Vaisnava society. Furthermore, as the Vaisnava year covering 2004-05 is the 108th birth-year anniversary of his divine Grace Srila A.C.Bhaktivedanta Svami Prabhupada, we have decided to publish this volume as a special celebratory offering to his Divine Grace. Rarely in this material world is such a transcendent personality as Sirla Prabhupada revealed. In the short time he was manifest before us, Sirla Prabhupada, our ever well-wisher, perfectly bestowed the love and merciful compassion of Sri Krsna Caitanya Mahaprabhu. Upon the fallen souls of Kali-Yuga. The legacy he has gifted the world is the vast ocean of spiritual knowledge contained in his translations, commentaries, lectures and personal instructions that will surely guide humanity on the spiritual path for many thousands of year. Yet this super-human effulgence of knowledge is simultanesouly the brillent radiance of a sublme personality of evident humility, simplicity, purity, gentleness, truthfulness, charity, fearlessness, fortitude, forgiveness, tolerance, austerity, modesty, and inexhaustible compassion. As such, this book, which details the characteristics of Sri Guru, is a particularly fitting offering to Srila Prabhupada. Srila Prabhupada many times quoted the sri Hari-bhakti-vilasa as the standard text in the matter of Vaisnava rules and regulations with which all practioners of the path of devotion given by Sri Sri Gaura –Nitai shuld be familiar. 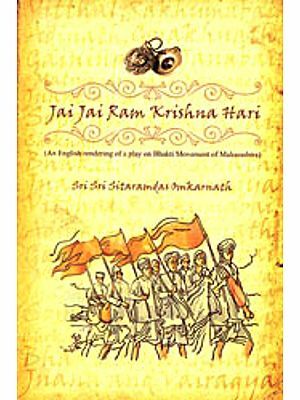 And, undoubtedly, Srila Prabhupada wanted this book presented in complete form to his spiritual descendants. As Sirla Prabhupada himself declared in a room concersation in Bombay, 21st December 1976. Sirman Sarvabhavana dasa Adhikari has again done a wonderful dedicated service to Sirla Prabhupada with his learned translation, we pray that by the grace Sri Sri Radha Krsna Sri Sri Gaura-Nitai, Srila Sanatana Gosvami and Sirla Prabhupada and indeed with the assistance of the dedicated Vaisnavas, the complete book will be published without undue delay in splendid Presentation in fulfillment of the desire of Sirla Prabhupada. Sri Caitanya Mahaprabhu replied, “ Wahtever you want to do you will be able to do correctly by the favour of Sri Krsna. He will manifest the real purport. Because you asked me for a synopsis, please hear these few indications. “In the beginning describe how one must take shelter of a bona fide spiritual master. Your book should describe the characteristics of the bona fide guru and the bona fide disciple. Then, before accepting a spiritual master, one can be assured of the spiritual master’s position. Similarly, the spiritual master can also be assured of the disciple’s position. “The supreme personality of Godhead, krsna, should be described as the worship able object, and you should describe the bija-mantra for the worship of Krsna, as well as that for Rama and for other expansions of the supreme Personality of Godhead. “You should discuss the qualifications necessary for receiving a mantra, the perfection of the mantra, the purification of the mantra, initiation, morning duties, remembrance of the supreme Lord, cleanliness and washing the mouth and other parts of the body. You should describe how in the morning one should regularly brush his teeth, take his bath, offer prayers to the Lord and offer obeisance’s to the spiritual master. “You should also describe how one should render service to the spiritual master and paint one’s body in twelve places with urdhva-pundra. As well as how one should stamp one’s body with the holy names of the Lord or the symbols of the Lord, such as the disc and club. After this, you should describe how one should decorate his body with gopicandana, were neck beads, collect tulasi leaves from the tulasi tree, cleanse his cloth and the altar, cleanse his own house or apartment and go to the temple and ring the bell just to draw the attention of Sri Krsna. “Also describe Deity worship, wherein one should offer food to Krsna at least five times daily and in due time place Him on a bed. You should also describe the process for offering arati and the worship of the Lord according to the list of five, sixteen or fifty ingredients. The characteristics of the Deities should be discussed, as well as the characteristics of the salagrama-sila. You should also dicuss visting the deities in the temple and touring holy places like Vrndavana, Mathura, and Dvaraka. “You should glorify harinama and explain that one must carefully give up offences when chanting harinama. You should also describe the symptoms of a Vaisnava and explain that one must give up or nullify all kinds of seva-aparadha, offences in deity worship. The items or worship, such as water, conchshell, flowers, incense and lamp should be described. “You should also mention chanting softly, offering prayers, circumambulating and offering obeisances. All these should be carefully described. Other items you should describe are the method of performing purascarana, taking krsna-prasadam, giving up unoffered food and not blaspheming the lord’s devotees. You should describe the symptoms of a devotee, how to associate with devotees, how to satisfy a devotee by rendering service, and how to give up the association of nondevotees. “You should also explain the value of regularly hearing the recitation of the Srimad-bhagavatam. You should describe the ritualistic duties to be performed every day, and you should also describe the fortnightly duties-especially how to observe the fortnightly Ekadasi fast. You should also describe the duties to be observed every month, and you should especially describe the observance of ceremonies like Janmstami rama-navami and nrsimha-caturdasi. Ekadsi, janmastami, Vamana-davadasi, Rama-navami and Nrsimha –caturdasi-all these should be described. “You should recommend the avoidance of mixed Ekadasi and the performance of pure Ekadasi. You should also describe the fault in not observing Ekadasi. One should be very careful as far as these items are concerned. If one is not careful, one will be negligent in executing devotional service. “Whatever you say about Vaisnava behaviour, the establishment of Vaisnava temples and Deities, and everything else should be supported by evidence from the Puranas. You should give general and specific description of the behaviour and activities of a Vaisnava. You should outline things that are to be done and things that are not to be done. All this should be described as regulations and etiquette. The Sri Hari-bhakti-vilasa is so a divinely inspired, fro, which we can understand the standard behaviour of a Vaisnava devotee and the full extent of his duty. The subject matter was collected by both Srila Sanatana Gosvami and Srila Gopala Bhatta Gosvami. The treatise consists the text itself and the commentary on the text called the Dig-darsini-tika, ‘A Commentary that Shows the Direction’. Sirla Gopala Bhatta Gosvami was of a Ramaunja- sampradaya brahmana family; as such he was familiar with the intricacies of ritual worship of Sri Visnu by vidhi-marga, the devotional path with strict adherence to rules and regulations. If one studies the matter in the purports of Srila Prabhupada, one will arrive at the conclusion that the original text went through an evolution over a number of years by the attention of both Srila Santana Gosvami and Srila Gopala Bhatta Gosvami and that Dig-darsini-tika of Srila Sanatana Gosvami was added at a later stage to give the conclusive Gaudiya understanding.